Evolutionists continue to propose a few of our smaller and least understood muscles as being vestiges of once useful organs left over from putative evolutionary ancestors. For example, the plantaris muscle in the calf of the leg is still widely regarded to be vestigial by reason of its slender diameter and seemingly minor contribution to the two more massive muscles with which it is associated. The plantaris joins with the much larger soleus and gastrocnemius muscles to form the triceps surae, which plantarflexes the foot through the Achilles tendon. Growing evidence reveals however, that each of the three muscles of the triceps surae has special properties that contribute to the overall function of this important muscle group. The remarkably short and slender plantaris muscle with its long slender tendon serves a proprioceptive function that provides a kinesthetic sense of limb position and muscle contraction. 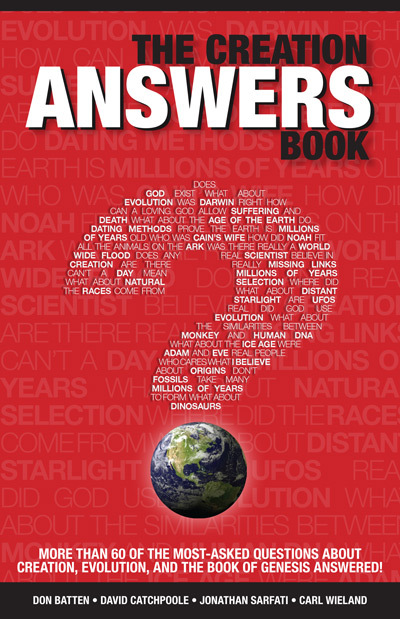 The presumed existence of vestigial organs is often cited as visible evidence for macroevolution. Vestigial organs have been used as particularly attractive examples of evolution in science textbooks and the popular press because they are so easily understood. If the human body can be shown to have truly useless organs that are a known vestige of once useful organs in a non-human ancestor, this would be evidence for non-human ancestry. The problem with declaring any organ to be without function is our inability to distinguish between an organ that truly has no function, and one for which a real function is simply unknown. The human ego (and even scientists have one) often finds it more satisfying to conclude that an organ has no use than to admit that we simply do not know its use. Even worse, an organ deemed to be without use is unlikely to be a subject of further biomedical research. 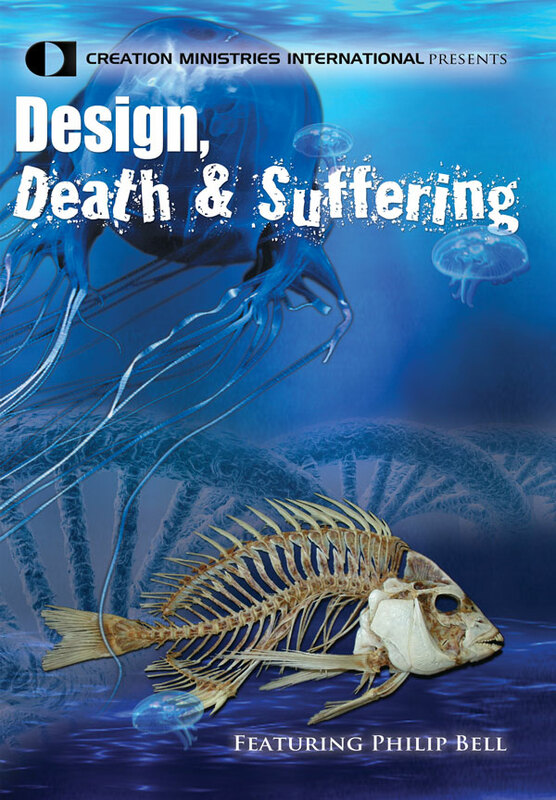 Fortunately, many scientists have ignored the claims of evolutionists regarding vestigial organs, and thus the advance of empirical science has revealed at least one known function for nearly every type of organ, tissue, and cell of the body. Of the nearly 200 vestigial organs once claimed to exist in the human body, only a few continue to be seriously discussed as vestigial. 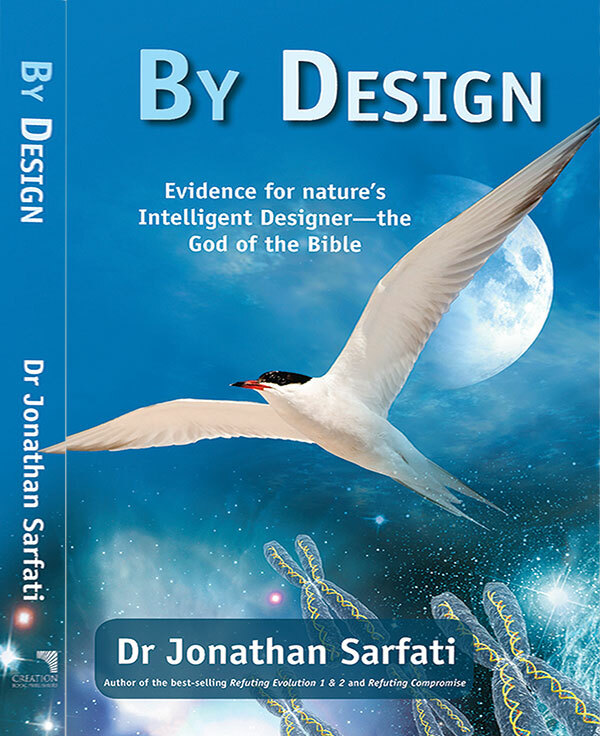 Evolutionists have singled out some of the least understood muscles of the body as being among the last remaining vestigial and useless organs. The muscles most frequently claimed to be vestigial in man are the auricular muscles of the ear, the erector pili muscles of hair follicles, and the plantaris muscle of the calf of the leg. All of these muscles are relatively small and give the appearance of producing little or no useful work by their weak contractions. While virtually all of the larger muscles of the body have obvious (as well as some not so obvious) mechanical functions, smaller muscles are not necessarily useless. For example, two of the smallest muscles in the body, the stapedius and the tensor tympani, serve to dampen the movements of the auditory ossicles and the tympanic membrane (respectively) preventing loud sounds from overloading these delicate structures of the middle ear. In general, most small, short muscles of the body produce fine adjustments in the movement of larger muscles. One of the problems with the whole concept of vestigial or functionless muscles is the well-known fact that unused muscles quickly degenerate. People ranging from astronauts exposed to a prolonged weightless environment, to those confined to long bed rest, lose a significant amount of muscle mass in only a few months. In short, muscle mass is a matter of ‘use it or lose it’. It is unlikely that any muscle that was virtually unused for the lifetime of an individual (to say nothing of generations of individuals over millions of years) would remain as healthy muscle tissue. It seems overwhelmingly likely that any muscle in the body that actually exists in the present, serves some function. In this analysis, we will consider the growing evidence that the plantaris muscle is neither vestigial nor useless. Figure 2. Arrangement of the triceps surae muscles of the posterior right leg. The small plantaris muscle works in concert with two much larger and more powerful muscles, the gastrocnemius and the soleus. These three muscles are collectively called the triceps surae, which literally means the three-headed muscle of the calf. It seems likely that any possible function of the plantaris will need to be understood in terms of its relationship to the triceps surae. At their origin, the three heads of the triceps surae are attached near the ends of either the distal femur or proximal fibula on the posterior aspect of the knee joint. At their lower end, all three muscles join together to form the Achilles tendon on the posterior side of the ankle, which inserts into the calcaneus bone of the heel (Fig. 1). Collectively, these muscles serve to plantarflex the foot at the ankle. Plantarflexion is the action we exhibit during walking when we push off with the front part of our foot raising our heel off the ground, or when we stand on our ‘tip toes’. But why do we have three closely associated muscles to do what might at first appear to be the same job, particularly when one of them, the plantaris, is so minuscule in size compared to the other two? As we shall see, each of these muscles is distinctly different and serves a unique but intimately related function—even the plantaris. The gastrocnemius is the most superficial of the triceps surae and is the muscle that bulges out on our calf when we raise ourselves up on our toes. This muscle is critically important for lifting the heel and propelling us forward when walking or running. Because it crosses the knee joint as well as the ankle, the gastrocnemius also flexes the leg at the knee. Although the gastrocnemius acts on both the ankle and the knee, it cannot exert full force on the ankle at the same time as it flexes the knee. A muscle like the gastrocnemius is made up of thousands of muscle fibres, each of which represents one muscle cell. Muscle fibres are very large multinucleated cells (some measuring over a foot in length in the longer muscles) that result from the fusion of hundreds or thousands of smaller precursor cells. The orientation of these fibres within the muscle greatly influences the power, speed, and magnitude (length) of pull the muscle can exert on its tendon. The muscle fibres of the gastrocnemius run in a vertical direction, in line with the Achilles tendon to which they attach. This arrangement allows a maximum magnitude and speed of contraction during running and jumping. Figure 3. Orientation of the fibres in a bipennate muscle (left), and a fusiform—spindle-like muscle (right). The cross-sectional area (and thus strength) of the bipennate muscle is greater than that of the fusiform muscle, as indicated by the line running perpendicular to the fibres of both muscle types. The soleus, which is the deepest muscle of the triceps surae, is a large flat muscle so named because of its resemblance to the flat fish known as the sole (Fig. 2). 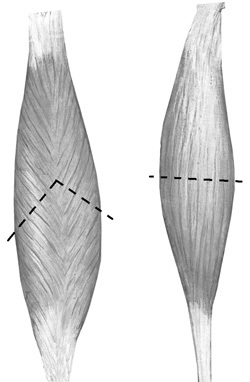 The muscle fibres of the soleus converge at an angle on its centrally positioned tendon, much as the barbs of a feather converge on their shaft (Fig. 3). In muscles, this arrangement is called bipennate (feather shaped). Bipennate muscles are particularly strong muscles for their size. The relative strength of a muscle varies directly with the cross-sectional (area) of the muscle, when measured perpendicular to the long axis of its fibres. The bipennate configuration of the soleus results in a functional cross sectional area that is much larger than might be apparent from its size alone (Fig. 3). Bipennate muscles maximize the power of contraction at the expense of both the magnitude and speed of contraction. This is ideally suited to the function of the soleus, which slowly but powerfully plantarflexes the ankle to steady the leg on the foot for maintaining balance while standing. The soleus is sometimes referred to as the ‘antigravity muscle’ because it helps to keep us from becoming unbalanced on our legs and falling down. Finally, unlike the gastrocnemius, the soleus is able to plantarflex the foot even when the knee is bent. The tiny muscular belly of the plantaris is only about one-third the length of the belly of the gastrocnemius and is so slender that it has less than 3 percent of the mass of that of the gastrocnemius;1 the rest of its length is comprised of a long slender tendon. The plantaris and its long tendon are sandwiched between the gastrocnemius and the soleus in the triceps surae (see Fig. 2). Like the gastrocnemius, the plantaris crosses both the knee joint and the ankle on the posterior side of the leg. Anatomy textbooks generally describe the plantaris as weakly assisting the gastrocnemius in both plantarflexing the ankle and flexing the knee. But are the two large and powerful flexor muscles of the calf benefitted in any way by the seemingly trivial contribution of their ‘weak sister’? The plantaris muscle has long been a subject of much confusion and speculation. It has been referred to as the ‘freshman’s nerve’, because its long, slender-white tendon is often mistaken by beginning medical students as a nerve. 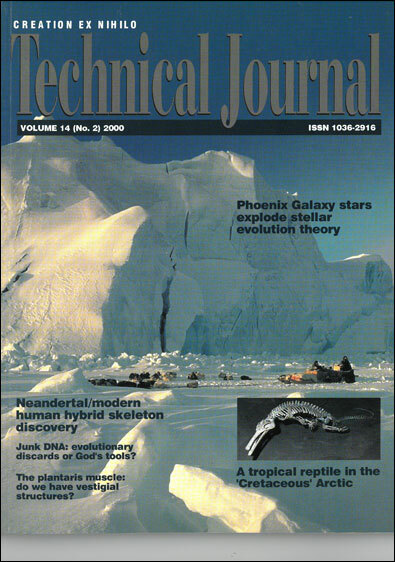 Evolutionists have speculated on its phylogenetic significance as a vestigial organ, while surgeons have removed this ‘useless vestige’ to employ its tendon as a spare part for the surgical repair of damaged tendons in the hand. Cruveilhier first proposed the muscle to be a vestige in man, believing that as our evolutionary ancestors assumed an erect posture, the plantaris lost its original attachment to the bottom of the foot (plantar aponeurosis) and gained a secondary attachment to the calcaneus bone of the heel.2 In many mammals, including apes and many prosimians, the plantaris is indeed attached to the plantar aponeurosis. In most ruminants and horses, however, the plantaris attaches to the Achilles tendon similar to man. In some animals, such as the American brown bear, the plantaris is as large as the gastrocnemius. The simple fact is that a study of the comparative anatomy of mammals reveals no phylogenetically coherent story based on either the size or the location of the attachments of the plantaris. The plantaris now appears to be a highly specialized sensory muscle. While the human plantaris muscle is clearly in a position to flex the knee and to plantarflex the foot at the ankle, its motor functions are obviously trivial. A point often overlooked in the assessment of a muscle’s function, however, is that most muscles have a sensory function in addition to their more obvious motor function. There is growing evidence that some of the smaller muscles in our body that were once considered vestigial, on the basis of their small size and weak contractile strength, are in fact sensory organs rather than motor organs. The plantaris now appears to be a highly specialized sensory muscle. Before we consider that evidence, we must review the sensory function of muscles in general. Our ability to control the movement of any part of our body critically depends on a precise sense of position and state of contraction for each of our muscles. Even something as seemingly simple as merely knowing where our limbs are, requires proprioceptive information travelling through our nerves from our muscles to our brain (specifically, the cerebellum). The term used for this special sense of limb position is called kinesthesia. It may not seem remarkable, but the ability to close our eyes and bring the finger of an outstretched arm to touch our nose involves an extraordinarily complex two-way exchange of neuronal signals between the muscles of our limbs and our brain. Sensory signals coming from our muscles tell our brain where our finger is in space at any moment, and motor signals from our brain tell the muscles where to move the finger next. Without this two-way kinesthetic feedback we would not know the location of our own hands when they are out of sight. People who have suffered a loss of kinesthesia may wake up in bed and be alarmed by the presence of a hand—their own hand!—next to their face. A mere kinesthetic sense of position is not sufficient to give us full control of our muscles. Muscles must also inform the cerebellum of the rate at which they are changing in length as well as the load they may be carrying. Consider the problem of holding our palm-up hands steady while someone carefully places a ping-pong ball in one hand and a bowling ball in the other. The muscles in each of our arms—as well as those of our hands and fingers—must contract at just the right magnitude, rate and force to keep us from either dropping the balls to the floor or throwing them over our shoulder. Every force we exert with every muscle of our body must be literally a measured and appropriate force based on a constant and precise feedback of length-tension information from our muscles. What then are the special sensory organs that give muscles such exquisite sense of their length, tension, and rate of change? The sensory unit of muscle is called a muscle spindle. Muscle spindles are encapsulated groups of small muscle fibres specialized for sensory function. The larger motor muscle fibres are mainly innervated by motor nerves from the spinal cord that stimulate them to contract, but muscle spindles are mainly innervated by sensory nerves from the cord that sense the rate of change in both the length and load of the spindle. These sensory nerves are of two types, called primary and secondary nerve fibres. Both types come from the sensory dorsal root ganglia of the spinal cord but the primary fibres respond to slow changes in muscle length, while the secondary fibres respond to rapid changes in length. While all muscles contain scattered muscle spindles among their more numerous and larger motor fibres, it now appears that some small muscles have an exceptionally high number of spindles and should be thought of as sensory or proprioceptive organs rather than as motor organs. Often these small sensory muscles are found to be in close association with much larger motor muscles. Many small, short muscles have been found to act across joints in parallel with much larger muscles, just like the plantaris and triceps surae.3,4 These disparate type of paring is known as a ‘parallel muscle combination’ (PMC). There are believed to be nearly three dozen such PMCs in the extremities of man. The difference in size between the smaller and larger members of PMCs may be quite large. Voss,1 for example, measured the combined weight of a human triceps surae to be 824 grams, while that of the plantaris alone measured only 10.5 grams, a ratio of over 78 to 1! The evolutionary notion of vestigial organs has undoubtedly interfered with the progress of empirical science. Peck et al. suggest that these observations may also explain the reason for the short bellies (contractile part of muscle) and extraordinarily long tendons typically found on the small members of PMCs such as the plantaris. The human plantaris belly length is only about one third that of the gastrocnemius, but for any contraction or extension of this PMC, both will undergo similar changes in absolute length. The change in relative length, however, will be inversely proportional to the length of the contractile tissue of each muscle belly. 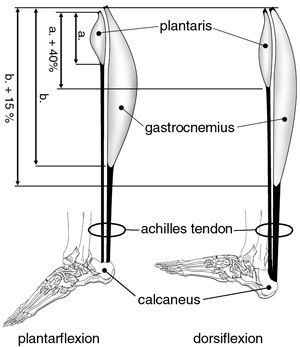 Thus the plantaris will experience two to three times greater change in both relative length and rate compared to the gastrocnemius (see Fig. 4). When one considers that the plantaris also has over nine times the spindle density of the gastrocnemius, this strongly supports the conclusion that the smaller muscle may be far more sensitive to both magnitude and velocity of stretch imposed on the PMC. The evidence now suggests that the plantaris is a member of a PMC, the triceps surae, in which it serves as a sensitive monitor of the entire biomechanical function of the group. Since the plantaris may be surgically excised or even missing in an individual without known loss of function, we may conclude that it is not essential to the triceps surae. 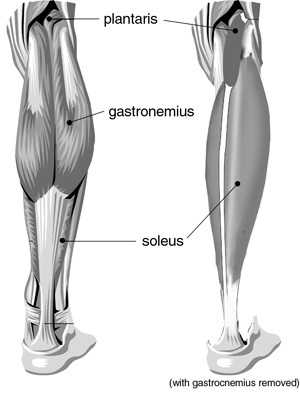 Both the gastrocnemius and soleus have muscle spindles which are also able to provide proprioceptive feed back. The human body contains many ‘nice but not strictly necessary’ organs, such as the gallbladder, but this hardly relegates them to the category of useless. 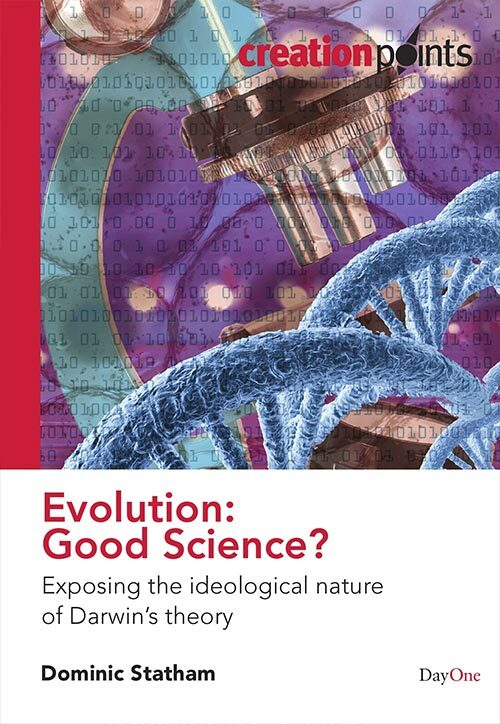 The evolutionary notion of vestigial organs has undoubtedly interfered with the progress of empirical science. 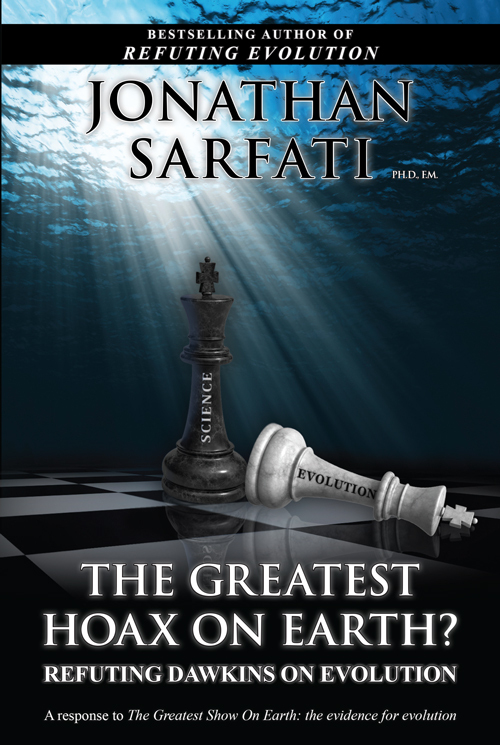 Only as scientists have ignored the claims of evolutionists have they been able to elucidate the functions of once ‘vestigial’ organs such as the parathyroid, thymus, pineal, pituitary, and adrenal glands. Our study of the plantaris reveals some of the pitfalls of declaring any muscle to be either vestigial or useless. The plantaris is particularly interesting because the very features of the muscle—its small size, long tendon and close association with larger muscles—that prompted evolutionists to declare it to be ‘vestigial’ and ‘useless,’ were the keys to understanding its function. Even now, the proprioceptive function of the plantaris in a parallel muscle combination is not fully understood, nor perhaps even correctly understood. However, a fuller understanding will not come from declaring it to be functionless, but rather from investigating its function. Voss, H., Tabelle der absoluten und relativen Muskelspindelzahlen der menschlichen Skelettmuskulatur, Anat. Anz. 129:562–572, 1971. Return to text. Daseler, E.H. and Anson, B.J., The plantaris muscle, an anatomical study of 75 specimens, J. Bone Joint Surgery 25(4):822–827, 1943. Return to text. Peck, D., Buxton D.F. and Nitz, A., A comparison of spindle concentrations in large and small muscles acting in parallel combinations, J. Morphology 180:243–252, 1984. Return to text. Nitz, A. and Peck, D., Comparison of muscle spindle concentrations in large and small human epaxial muscles acting in parallel combinations, The American Surgeon, 52:273–277, 1986. Return to text. Peck, D., Buxton D.F. and Nitz, A., A proposed mechanoreceptor role for the small redundant muscles which act in parallel with large primemovers; in: Hinick, P., Soukup, T., Vejsada, R. and Zelena J. (eds. ), Mechanoreceptors: Structure and Function, Plenum Press, London, pp. 377–382, 1988. Return to text.